Full flavored fanatics rejoice! 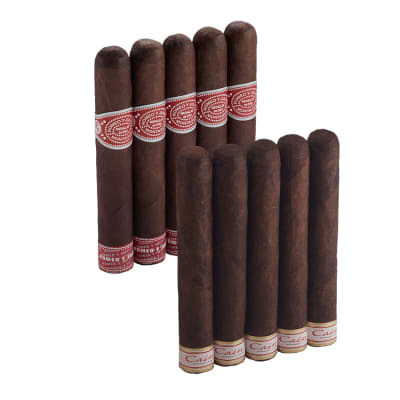 This Wingman has 10 of the best full-bodied cigars at a price that's hard to beat. 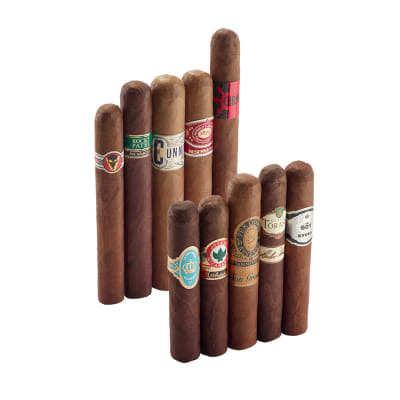 The Camacho Triple Maduro is a joy ride of dark tobacco flavor, while the Joya De Nicaragua Antano 1970 sizzles with savory delights. This promises to be a HOT item, so order yours now. This deal put famous on the map for me. Don't sleep on this sampler! The 1970 Antano was the cigar of the week on Cigar Aficionado last week and my favorite cigar to date. The triple maduros are very tasty with a little less punch than the Antano's.